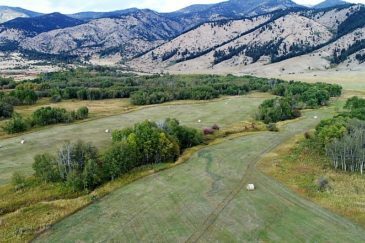 Fay Ranches represents some of the most highly sought-after farm land for sale across the entire country. From large acreages of wheat fields in Montana to diverse row crops being grown in Mississippi, we list a variety of farm properties for sale across all regions and of different sizes. We invite you to browse current Fay Ranches farm land listings or use the Advanced Search tab above to further refine your search. Contact our headquarters at (800) 238-8616 to be connected with an agent in the area. Mallard Rest has been the private Mississippi Delta duck hunting property of Memphis’s former cotton merchant William B. Dunavant, Jr for almost 40 years. This property has been featured in books, spoken of reverentially amongst duck hunting enthusiasts, and celebrated for decades as one of the south’s most productive and famous duck hunting properties. Mallard Rest is now available for purchase. The Historic Veale Ranch near Aledo has been a carefully managed, operating cattle ranch for 5 generations of the Veale family since 1935. An exceptional recreational property featuring farming income and prime rice land. Nearly 3,000 acres of live oak woods bracketed by crops and pasture, in an area renowned for its waterfowl hunting. This classic Texas Cross Timbers hunting and agricultural ranch overlooks approximately 2.5 miles of the Colorado River between Brownwood and Brady. There ranch is improved with a 7,000 square foot main lodge and several smaller homes. The Shoop Ranch is a remarkable property with live water and a lot of character just north of Fort Worth. It is a large predevelopment opportunity with a prime location in the heart of one of the nation’s fastest-growing economies over the next five years. One of the largest and last remaining undeveloped properties along the Tennessee River, River Hills Farm is a great investment. Exceptional hay production, managed cattle, and some row-cropping are the current agricultural operations.